I was greeted by an Intercontinental employee at the airport for an arranged transfer and not long after, chauffeured in a Mercedes E-Class to the hotel. Stepping into the Intercontinental Singapore Robertson Quay, you know they mean business. I felt the importance of the area the hotel is built on. The truth is, it is small. But you will feel the respect for space, and their way of working around it as a luxury hotel brand, smartly (more on that in the review). The real clincher though? Massive, floor to ceiling windows that commands a residential view of Singapore. 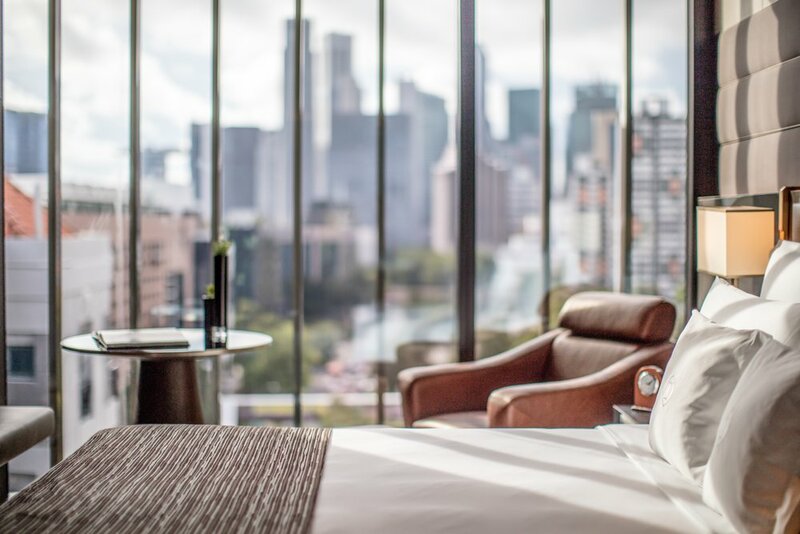 Fresh from the award-winning architect firm SCDA, they created something truly special here, starting with the great use of space and extending to every inch of the hotel's 225 rooms, which spreads over the fifth to tenth floors, and five dining options. The hotel combines design elements of the old European and Chinese industrial influences and glorifies specific warehouse components such as the old folding doors by the elevator. The Intercontinental Singapore Robertson Quay is one of the most striking business hotels in The Quayside where the eateries, shops, and service facilities are making up for lost time with the new optimistic standards it has set. I entered via a doorway on the ground floor with elevators that sends us to the fourth-floor lobby, where I then checked-in at copper-colored counters. Stepping into the lobby, I can’t help but sink into its homely vibe (which I have to say is unlike its flagship property at Bugis). What’s more, the marble-clad lounge attached next to it is beautifully filled with plush sofa and suede armchairs, really adding to that warm feeling. Lifestyle improvements and intelligent furniture transformations. Floor to ceiling windows with views of Singapore. 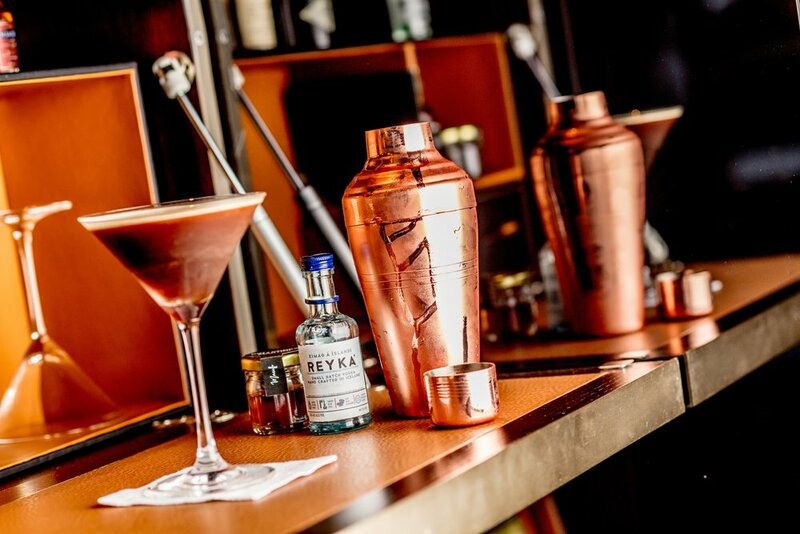 The cocktail kit is a bespoke amenity available in all rooms. The room, on the other hand, was so comfortable because the property plays it like an intelligent, luxury condominium or service apartment, especially with its pull-out drawer fridge, and earthy-muted colors accented with copper tone space. 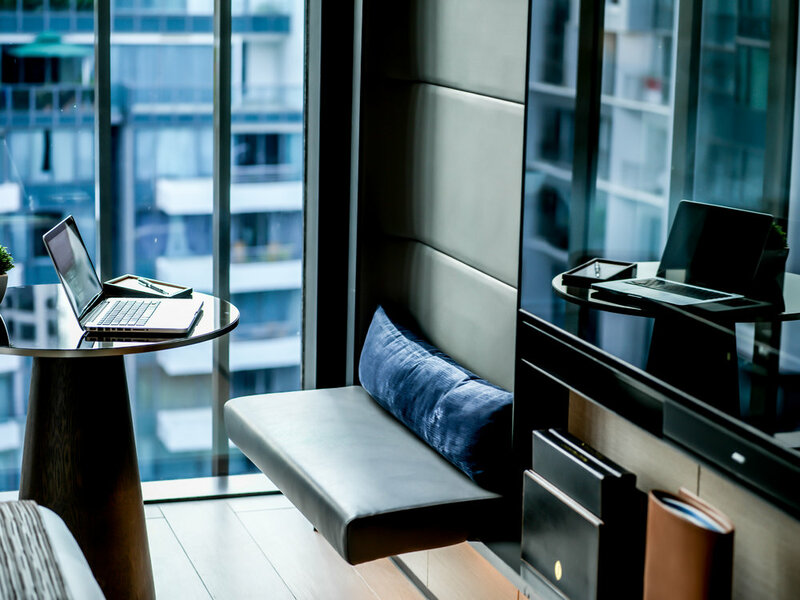 The hotel appears to build upon small spaces being both functional and beautiful, intended for on-the-go lifestyles of the present urban citizens and efficiency seekers. I also enjoyed having my own Nespresso coffee machine and in-room cocktail kit; what else can a business traveler ask for? Although there are many restaurant and bars in The Quayside, the hotel offers a trio of concepts in the adjoining low-rise dining block, namely Wolfgang’s, Ishi, and Publico. For nourishment, I head to Publico Ristorante, an Italian landmark dining and entertainment destination by the waterfront. 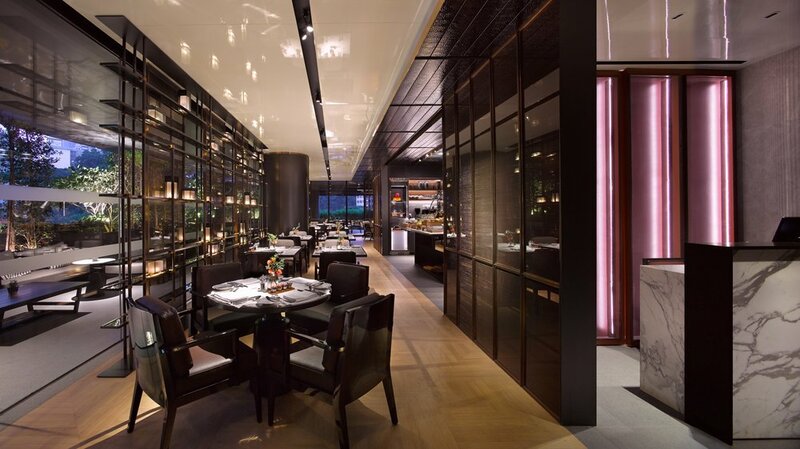 Definitely the flagship restaurant of the property, its pan-Italian menu draws in non-visitors from all around Singapore for excellent reasons—private and sprightly yet exciting. (I recommend the lobster spaghetti and the bistecca beef steak with herb butter). Guests can relax on sun loungers or take a dip in the pool. Breakfast is served at Publico Deli. Additionally, the all-day diner Publico Deli serves an extensive a la carte menu of hot breakfast to go with a petite buffet selection of cold cuts and fresh fruits; by night, the space transforms into two distinct concepts: Desserts Café and Marcello Bar. Notably, the lobby also hosts a Quayside Lounge where you can enjoy coffee, tea, cocktails and snacks amongst lush tropical surroundings. 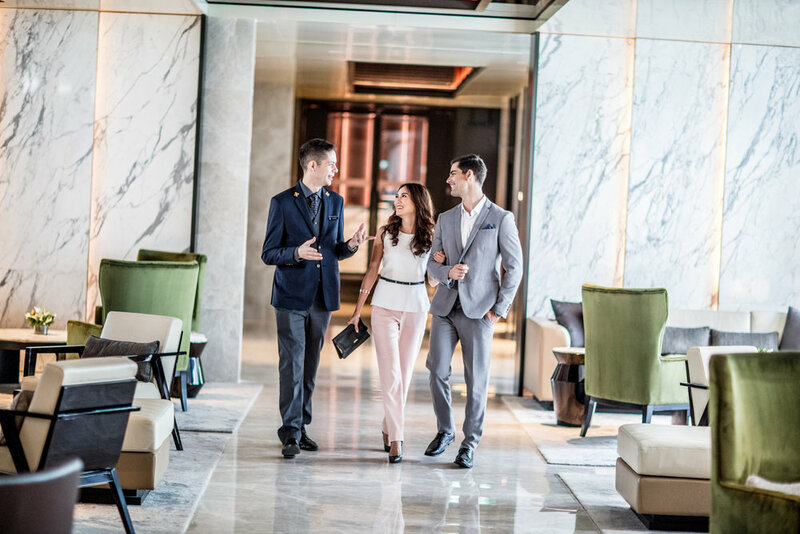 When it comes to service and facilities, they are as one would expect of the InterContinental group—welcoming with an air of professionalism. 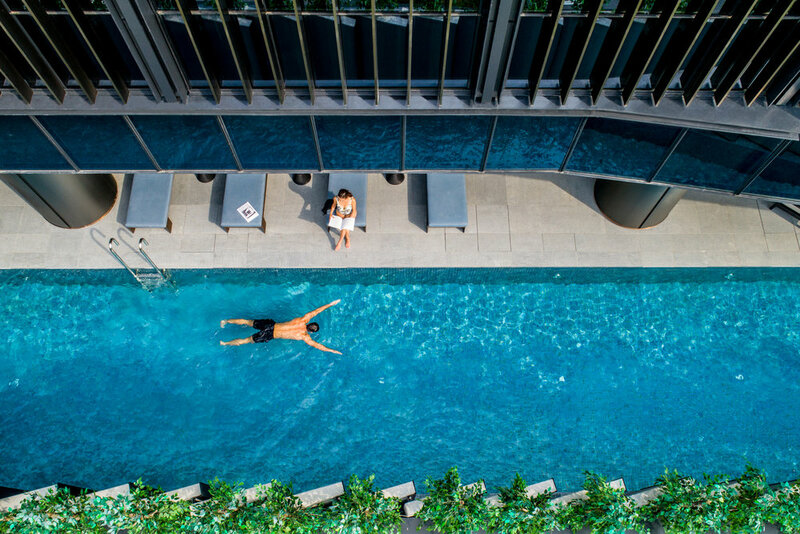 The lap pool runs alongside the Quayside Lounge and is significantly smaller than the InterContinental Singapore equivalent. However, it meets its purpose and is great if you’re looking to get a dip after the hot afternoon sun. Furthermore, spending some time at the exclusive 24-hour Club InterContinental lounge was joyous. Along with other club guests, I had access to tailored and personalized services. For the health enthusiast, you’d be glad to know that there is a 24-hour fitness studio within the premise. You’d never have to sacrifice your wellness routines when you’re with InterContinental. 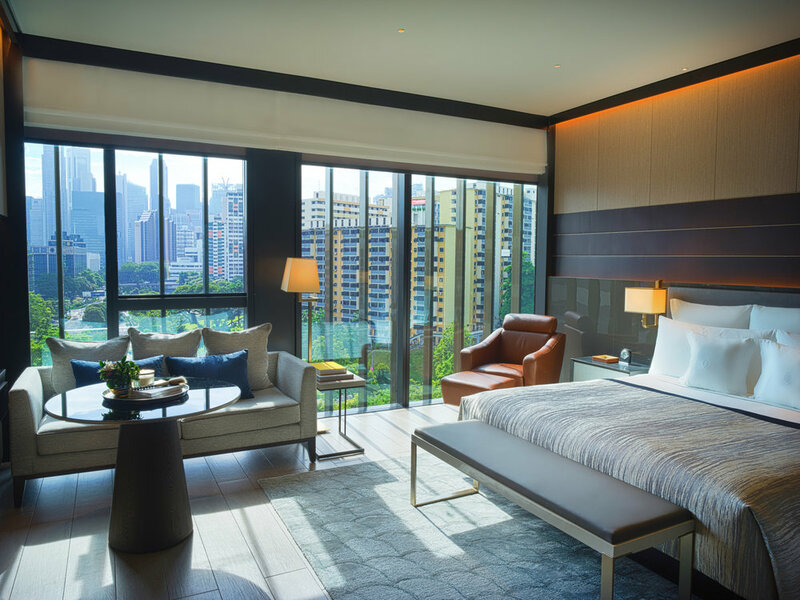 In a nutshell, the InterContinental Singapore Robertson Quay experience seems to strive for luxury residential comfort rather than classic hotel opulence. And I'm not complaining.